"Client care managers and caregivers are available 24/7." We understand that making the decision to get help from someone outside the family is not easy. That’s why we provide a free in-home consultation to discuss your unique situation and specific needs for home care assistance. We take the time to listen to your concerns and talk about how we can help. 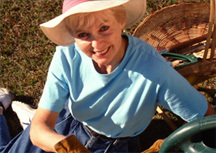 You help choose the caregiver that matches your situation and personality. After a caregiver has been placed in your home we stay in touch by phone and making in-home visits. You have the right to choose a new caregiver for any reason. We are available a few hours a day or 24 hours a day 7 days a week. and many more tailored to your specific needs! “Beverly and Steve thanks from all of us for your services and kindness. You should be proud of your very fine staff. We thought a lot of all of them. We appreciate all that you did to help Mother with Dad."!"